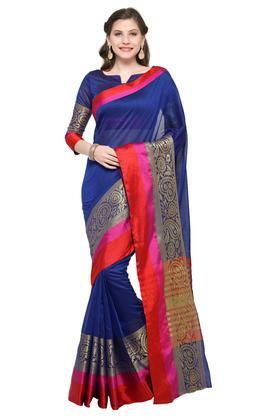 Bring out the diva in you by wearing this saree from the house of De Marca. Comfortable and stylish, it is tailored with care using chiffon fabric, which lends it a classy finish. On the other hand, it features a woven work that lends it an elegant look.